Murder by Gaslight: The Kittery Crime. 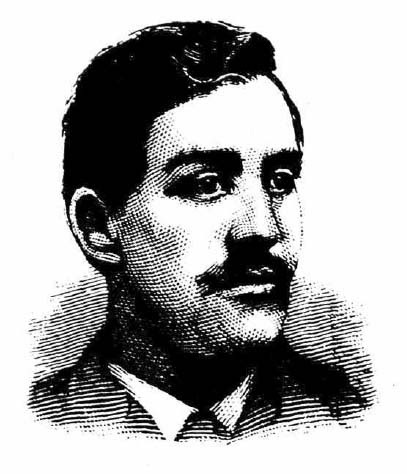 Thomas Barrows was found dead in his home in Kittery, Maine, on November14, 1883. He was lying in his bed with six bullet wounds in his arms, legs and head. His wife, Mary, told the coroner that Thomas had committed suicide. The coroner was faced with two immediate mysteries; if Thomas Barrows had committed suicide, why did he wound himself five times before firing the shot to the head that killed him? And how had he shot himself six times with the five barrel revolver found near the bed? Closer examination determined that three of the shots to his arms and legs were fired from a distance, one to his hip was close range, the shot to the head was also from close range but probably went through his hand first—explaining the six wounds, but essentially ruling out suicide. The coroner’s jury ruled the case murder, but lacking a motive, could not determine a suspect. Thomas Barrows was born in Liverpool, England, and in 1880 he was “tramping the roads” in Maine, looking for work. He was hired by Benjamin Cates, a farmer in Kittery, Maine, who was in ill-health and unable to run the farm himself. There Barrows met his future wife, who at the time was Mrs. Mary Cates, and the two began an illicit romance. Marital relations between Mary and Benjamin Cates had grown extremely unpleasant. It was said that she had twice tried to poison his food and he became so suspicious that he would not eat any dish unless his wife tasted it first. Benjamin Cates died in 1881. Following Cates’s death, Mary and Barrows continued living together with Barrows taking full control of the farm. He was a hardworking and successful manager who was able to pay off debts incurred the late Mr. Cates, but Burrows was extremely jealous and controlling. When any other man paid attention to Mary he would go into fits of anger. On one occasion Borrows confronted her with a pistol; she jumped out of the way and avoided the shot he fired, but she broke her leg in two places. Barrows was arrested and Mary was subpoenaed to appear against him, but she refused to testify and Barrows was released. He went back to the farm and they went on as if nothing had happened and soon after they were married. Mary later said she married him out of fear of the “mania” he had for her. At this time Mary’s twenty-year-old daughter was also living on the farm. She was keeping company with a young man named Oscar Blaney who, for some reason, Barrows despised. He refused to let Blaney come to the house and, at knifepoint, made his step-daughter swear she would not marry Blaney. The two did marry, and moved to a farm of their own. Barrows went into a rage whenever she came to visit because he believed that his wife planned to transfer the deed to the farm to her daughter. Mary discussed the matter with Oscar Blaney and they agreed it was time for drastic action; there would be no peace in their lives until Thomas Barrows was dead. They planned to murder Barrows and make it look like suicide. Blaney went to Portsmouth, New Hampshire and purchased a five barrel colt revolver and seven bullets. The following Wednesday, Blaney loaded the gun with four bullets then hid behind a shed at his mother-in-law’s farm and waited for Barrows. In the farmhouse, Mary told Barrows that she heard some noises from the barn and thought some animals had gotten loose. Barrows went out the barn to check. When Barrows approached the barn, Blaney rushed out and began firing. He shot four times, hitting Barrows with three of them. When Barrows fell, Blaney dropped the pistol nearby then went back home. But Blaney was an inexperienced and nervous shooter; he had not inflicted a mortal wound. When Mary saw that Barrows was alive and crawling toward the house, she hurried to Blaney’s farm, telling the people there that her husband had attempted suicide but was still alive. She needed Oscar’s help. In fact, what she wanted was for Oscar to come back and finish the job. When they reached the farm, Blaney retrieved the gun and loaded it with two more bullets. Inside the house they found Barrows sitting on the side of his bed, groaning. “Oscar, I guess I will go soon,” said Barrows. “Yes, your time has come now.” Blaney said, and fired a shot. Blaney was still shooting wildly and hit Barrows in the hip. Barrows screamed in agony and Blaney fired again, this time shooting through Barrows hand to hit the side of his head, and Barrows was dead. Mary Barrows and Oscar Blaney were soon arrested for the murder of Thomas Barrows. They were tried separately; Mrs. Barrows first. Though they had vowed to stick to their agreed story, Blaney told the whole truth on the witness stand in Mary’s trial. She was found guilty of first degree murder. Blaney then changed his plea to guilty and both were sentenced to be hanged the following December. In November the Governor and Council of Maine extended clemency to Oscar Blaney for having given evidence for the State. His sentence was commuted to life imprisonment. 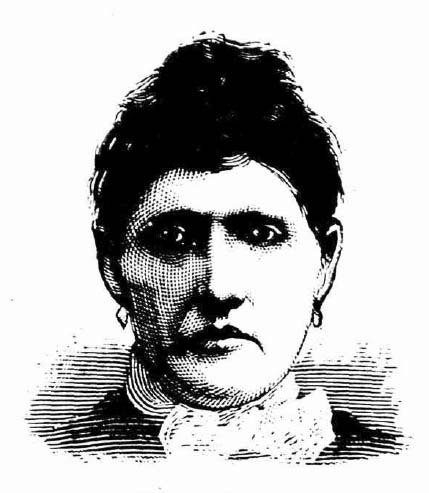 Mary Barrows had her execution suspended until the following April. It is unclear what happened to Mary; it appears that this execution never occurred and it is likely that her sentence was eventually commuted as well. "The Barrow Murder." The National Police Gazette 5 Dec 1885. "Both Found Guilty." Augusta Chronicle 6 Feb 1884. "Clemency for Maine Murderers." Boston Journal 25 Nov 1885. "A Frightful Story.." Boston Journal 26 Nov 1883. "The Kittery Crime.." Haverhill Bulletin 26 Nov 1883. "The Kittery Tragedy.." Worcester Daily Spy 26 Nov 1883. "New England News." Haverhill Bulletin 17 Nov 1883. "Still A Mystery." Boston Herald 24 Nov 1883. "Terrible Crime Confessed Oscar E. Blaney" Cincinnati Commercial Tribune 1 Feb 1884.